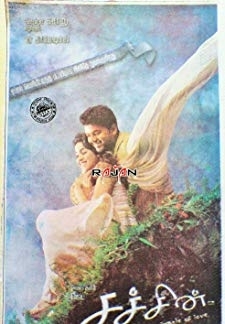 © 2018 Scratchu.com Ghamandee (Dubbed) | Joseph Vijay, Genelia DSouza, Bipasha Basu, Vadivelu, Raghuvaran, Santhanam, Bonda Mani, Balaji, Mayilsamy, Chaams, Resmi, Linda Arsenio - Ghamandee (Dubbed) (2005) | Tamil Movie | 6.9/10 | Synopsis : A love triangle on a college campus between two young students who try to deny their feelings for each other. The entry of a lecturer who has a soft corner for the boy, changes things around.... Watch Online!! !